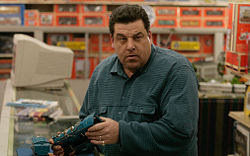 Google+ Cinema Viewfinder: The Sopranos: The End of the Affair? The Sopranos: The End of the Affair? So this is what it's been building up to? Two of Tony's most loyal knights eliminated from the chess board in what is almost an afterthought of a plot. Tony and Melfi have a falling out. And AJ? Snap out of it! Dangling plotlines still unresolved... I thought the Russians Were Coming... the Russians were Coming... from Steve Buscemi's fantastic "Pine Barrens" to Furio's self-imposed exile after his almost affair with Carm. Never has a show so great managed to derail itself on so many occasions after building momentum each season to its climax. But, oh, what a glorious train wreck. Is it too much too hope that David Chase redeem himself next week in that short one hour finale?